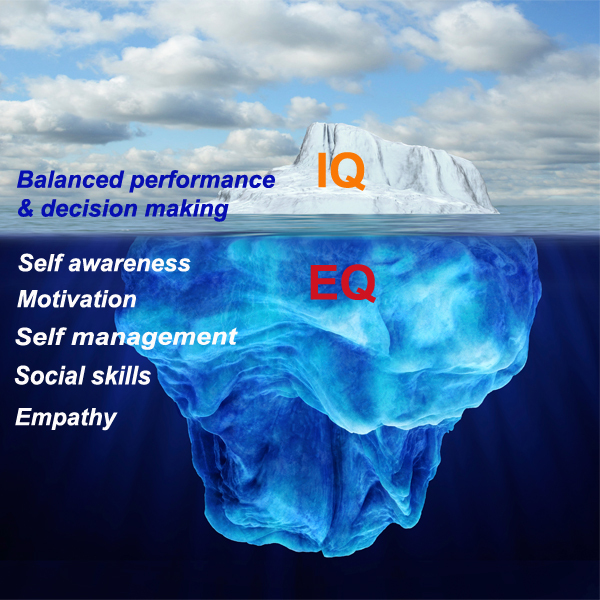 Research shows to move up quickly in your respective career, you should have high emotional intelligence quotient. I think for all of our reader this is really an important topic. Emotional Intelligence is the ability to recognize and understand emotions in yourself and other and to use this awareness to manage your behavior and relationship. Emotional Intelligence IS NOT about suppressing emotions or being nice- it is about being aware and expressing emotions to manage to a positive outcome. Let’s talk about each skills in details and there significance on our day to day activity. Self-Awareness is your ability to accurately recognize and understand your emotions as they happen. This includes knowing your strengths, your general tendencies for responding to different people and situations and how your emotions influence your behavior. To Increase your self-awareness, you need to embrace feedback with open arms. Research shows that the vast majority of people struggle to see themselves as other see them and the most accurate picture of anyone’s behavior comes from those around them. The best way to find out what other see is to ask them, Asking for feedback is easy-hearing it without getting defensive is not easy. Seeking feedback is difficult for most people. It can be scary when you are afraid to finally find out what people really think of you. Nonetheless, feedback from other won’t do you any good, if you are not open and receptive to other people’s perspectives, especially when they differ from your own. To know who and what pushes your buttons. We all have triggers etc. and when pushed you get irritated. Your buttons may get pushed by a wide range of people and things. It could be certain environment or certain things. Knowing what pushes your buttons will make them more tolerable for you when they happen and open the door to managing and unhooking those buttons. Your actions are unique to the situation in front of you, no matter how often you think mess up. Make certain your thoughts follow suits. When you start treating each situation as its own animal and stop beating yourself up over every mistake, you’ll stop making your problem bigger that they really are. Thoughts that attach a permanent label to you leave no room for improvement. Factual statements are objective situational and help you to focus on what you can change. The blame game and negative self-talk go hand in hand. If you are someone who often thinks either it’s my entire fault or it’s their entire fault you are wrong most the time. It’s commendable to accept responsibility for your actions but not when you carry someone else’s burden. Likewise, if you’re always blaming others, it’s time to take responsibility for your part. Social Awareness is the ability to recognize and understand the emotions and mood of individuals and groups. This awareness is necessary to control your reactions to others and manage relationships. We can usually determine the things above the surface but that is rarely the whole story. Social awareness skills allow us to see what may exist below the surface. Social awareness involves listening and watching for what a person says or doesn’t say. If we are socially aware it will help us to respond in an appropriate manner. To be socially aware means understanding the information we receive from others as they interact with us and our emotions and thoughts. Emotions play a role in every interaction you have with another person, whether you are ware of them or not. They often influence the “back and forth” between two people more than the words being said. The ability to spot emotions in the midst of an interaction, understand their influence, and respond effectively is the essence of being socially competent. This can be very hard to do. Relationship Management is the he competence requires the ability to use all the above skills. It is using your awareness of your own emotions and the emotions of other to manage your relationship. It includes a) Communicating effectively b) Managing conflict c) Recognizing your needs and the needs of others. Remember emotions play a role in every interaction you have with another person, whether you are aware of them or not. Emotions often influence the back and forth between two people more than the words being said. The ability to spot emotions in the midst of an interaction understands their influence and respond effectively is the essence of relationship management. This can be very hard to do. Relationship management is the most advance skill. The place where most people trip us and fail to manage themselves successfully is during an emotionally charges situation. Whether, a heated debate between colleagues or a looming deadline, situations that elicit high-intensity feelings put your true self-management skills to the test. When you find yourself in an emotional situation, it is important to give yourself some time to think before reacting. This entry was posted by Alumni Speak and tagged Emotional Intelligence . Bookmark the permalink.